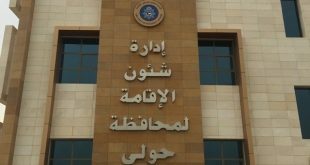 KUWAIT CITY, June 19: The Ministry of Interior has said those who sponsor their parents or siblings must produce a KD 3,000 certificate from one of the insurance companies to cover the medical expenses annually. The daily quoting ministry sources said this is a condition to renew the residence permit of parents or siblings. The same sources said this is in effect now and explained the Residence Affairs Departments will not entertain applications for renewal. However, this task is now within the authority of the Public Services Department at the General Department for Residence Affairs in Dajeej.